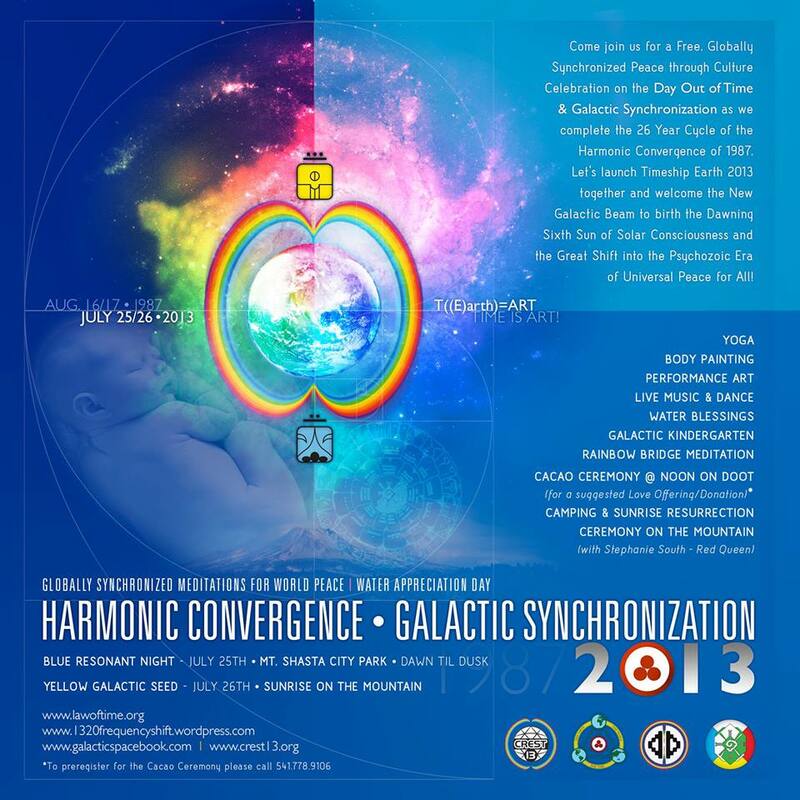 Come join us for a free, Globally Synchronized Peace through Culture celebration on the Day Out of Time & Galactic Synchronization as we complete the 26 year cycle since the Harmonic Convergence of 1987. Featuring yoga, body painting, performance art, live music & dance, water blessings, Galactic Kindergarten, Rainbow Bridge Meditation, midday cacao ceremony, camping on the mountain & sunrise resurrection! A day out of time? What could that possibly be?